Combine beef broth, water, star anise, cinnamon stick and ginger and simmer for 30 minutes. Remove and discard star anise, cinnamon stick and ginger. While broth simmers, marinate steak in sherry or mirin. Soak rice noodle in warm water for about 10 minutes. 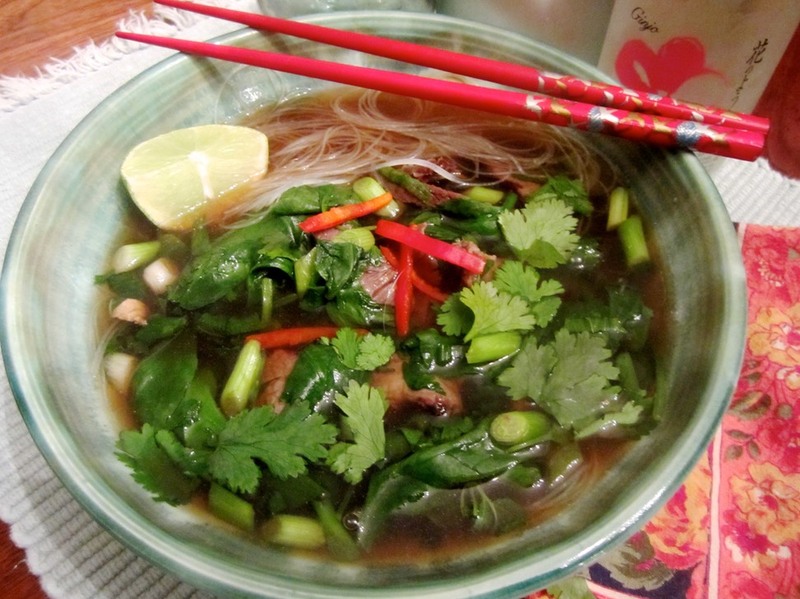 To cooked broth add noodles, basil, mint, cilantro, spinach, green onions, bean sprouts, fish sauce and pepper. Add beef and marinade and heat through, about 1 minute. Serve with garnishes if desired.